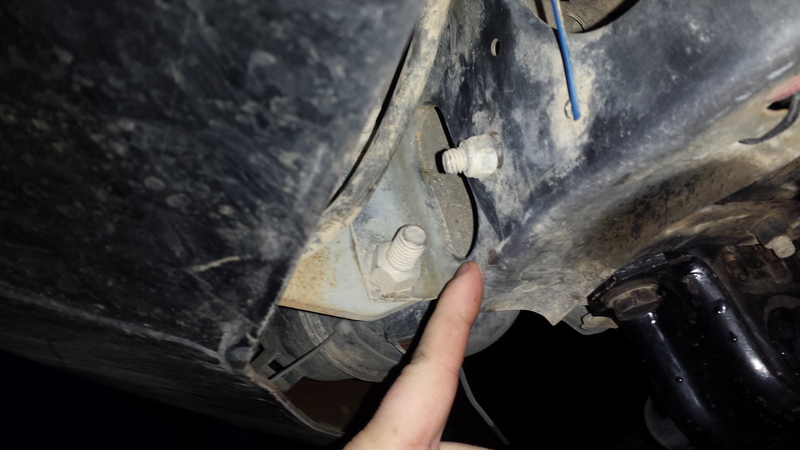 Hey guys, i have been pretty dormant for a while due to work and the travel involved, but i have been recently discovering new ways to make my jeep a better all around vehicle on and off the road. 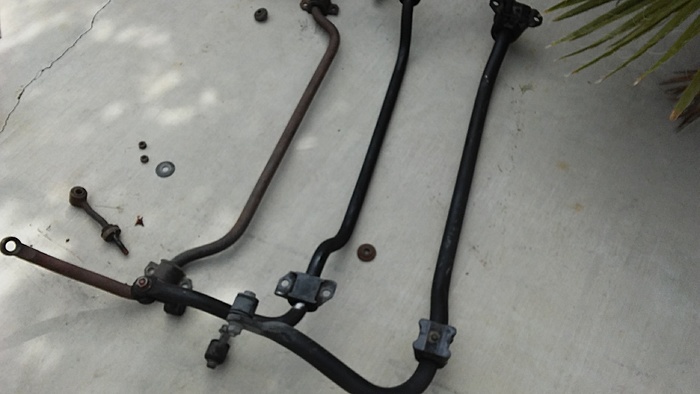 Recently i took a trip to the junk yard and grabbed a bunch of things to include a 99-04 Grand Cherokee WJ front axle (with brakes attached), front sway bar, pitman arm and a ZJ and Durango steering box (so to compare them and make a thread later for that). As stated earlier, i acquired the front WJ sway bar from the junkyard for a whopping $11.47. So if it didn't fit, so what. First i removed the Stock sway bar, and test fit the GC WJ one to see where it would fit. It was much longer and larger then the stock XJ and even much bigger then the ZJ upgrade, but it was worth my time and effort. 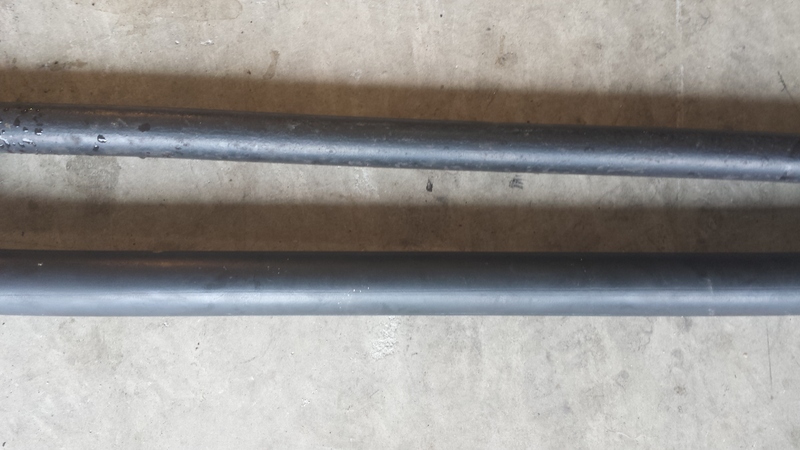 Here you can see the difference between the WJ swaybar and the XJ swaybar, the WJ bar is on the bottom. So after this, i didn't take pictures of the hole i drilled due to the rain outside, but it was very easy. I took some more pictures after i installed it, but we will get to those later. 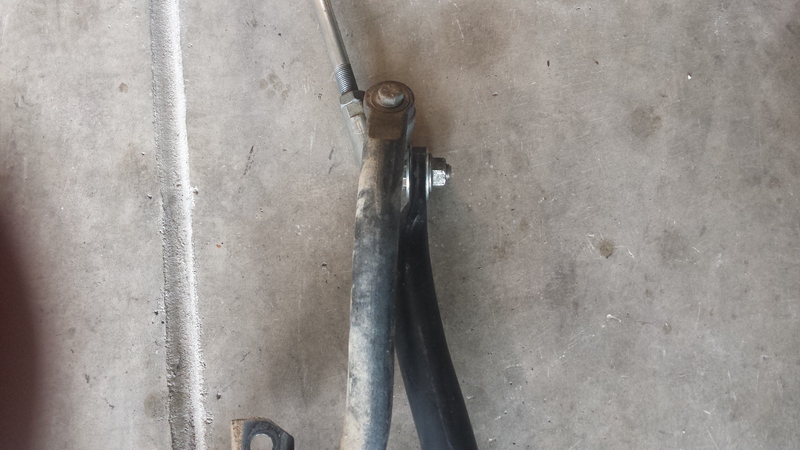 First i mock mounted the swaybar, to see where it sat and discovered it was way to long, and the body mounts would need to go forward at least 2 inches. 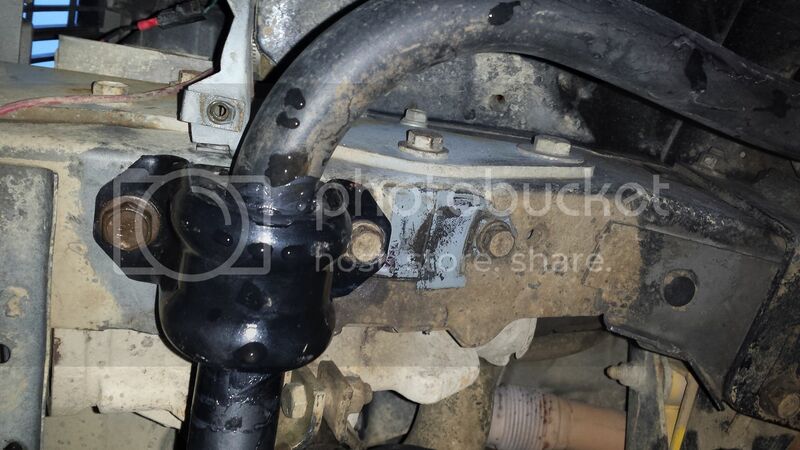 So i started in the easiest spot, by taking the front bolt of the (now removed) XJ swaybar mount, and bolted the WJ bracket there...EUREKA!!! It gave me about an inch clearance from the coils, and one of the bots was already exactly where I needed it to be. All i used was a wrench with a piece of tape on top of it to keep the nut from falling in the frame. 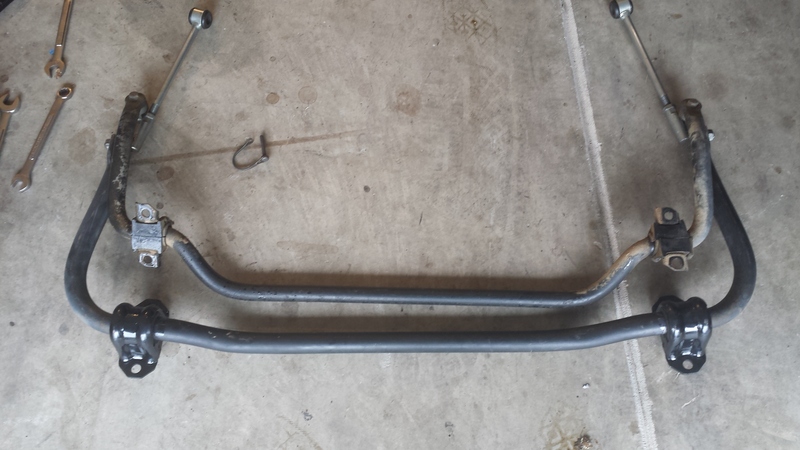 Now you can just install it like this, or you can weld on a tab, or plate to keep the bolt from turning in the frame, i went in later and welded tabs on the nuts in the frame, similar to the stock track bar bolt. 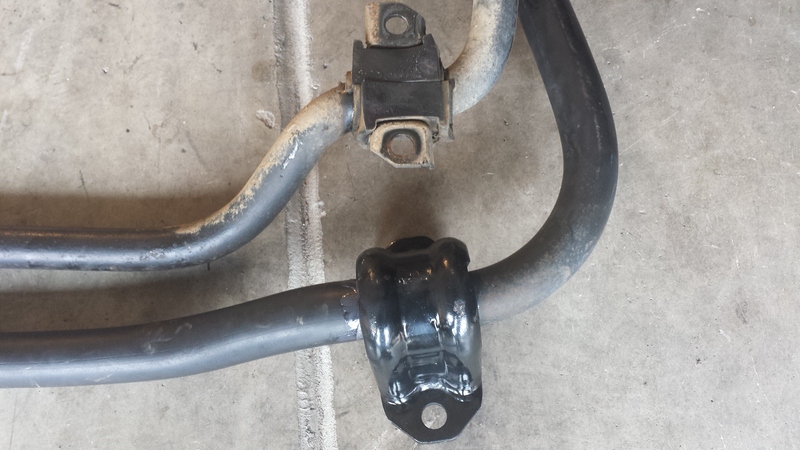 Now although the entire bushing of the swaybar sits on a flat spot of the frame, the rear frame mount is at an angle, so the front bolt needs to be tightened all the way down first, then the rear, this way it slightly bends the mount to lay flush with the angle of the frame, worked great. Here is the fully installed Sway bar. 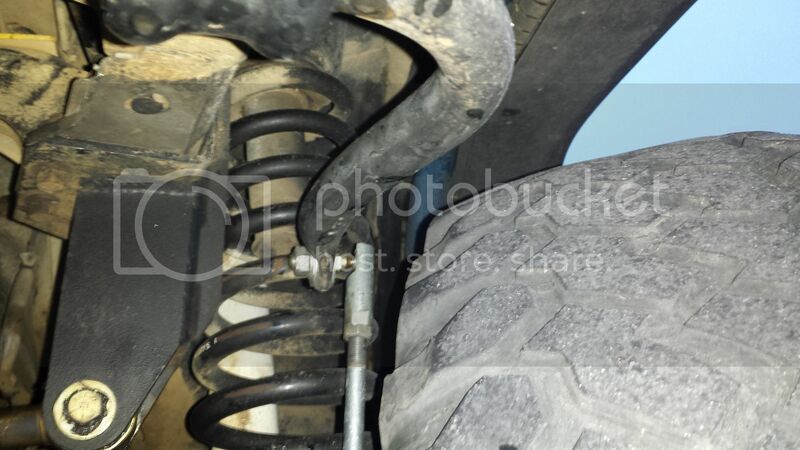 Note that it does stick out a little further in the wheel well, but i checked it for clearance, and even at full compression and full lock, my tire did not hit the swaybar. 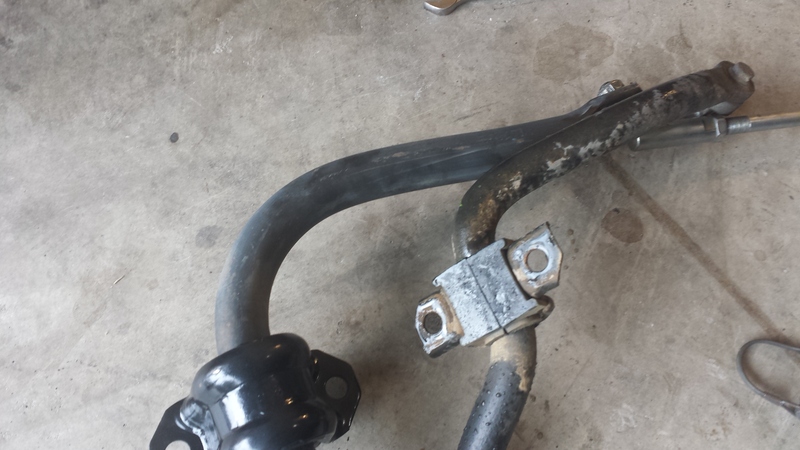 Just look how enormous that front sway bar is! I have the Level 3 ORO U-Turn steering up front with the solid drag link and it matches the size of my steering. I have on more then one occasion slipped off a rock, slamming my steering with the full weight of the Jeep's front end, and not a dent, scratches and missing paint, but strong as hell. After i installed it i took it for a quick ride and HOLY **** what a difference! I no longer feel like i am gonna fall out of the Jeep on turns, the rear locker actually locks up less due the the stiffer front keeping more even pressure on both tires in the rear. So instead of my locker trying to lock my inside tire due to it lifting and loosing a bit of traction, i get smoother, more level turns. I hope some of you guys that are looking for safer handling on the street, especially in a lifted XJ with big tires, will look into this and do it. I did not find a write up of anyone doing this so i decided to make my own. If you guys have any questions let me know, or need help installing one. I would be glad to help if you are in the San Antonio, TX area. Nice write up! I was just at the Pick n pull and eying this upgrade. Can you tell a little more about what you did to make up for the eyelets for the links being 90 degrees off? (Verticle on the wj, but horizontal on the xj) . Are there any options for this for a non lifted xj? Just did this upgrade as well and it is a great mod for highway driving. 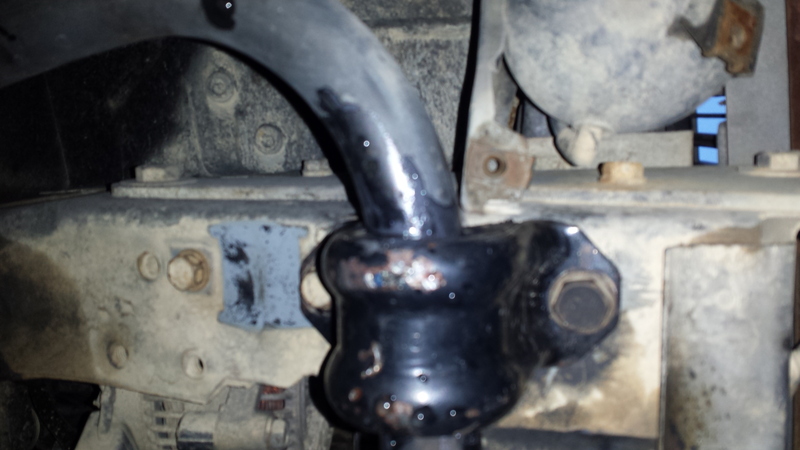 Just finished it after I accidentally grabbed a sway bar off a WJ that I thought was a ZJ lol.. Hey the whole front clip was missing and it was 10 deg outside.. Initially I was irritated cause the post said it was a bolt on (still not knowing it was off a WJ).. I happy I did cause as I see the WJ bar is a much better quality.. However I was unable to find your write up until another forum member pointed me in your direction. If anyone is interested I have a producer for a set of 3" drop mount adapters to match a WJ sway bar and make it a direct bolt in. 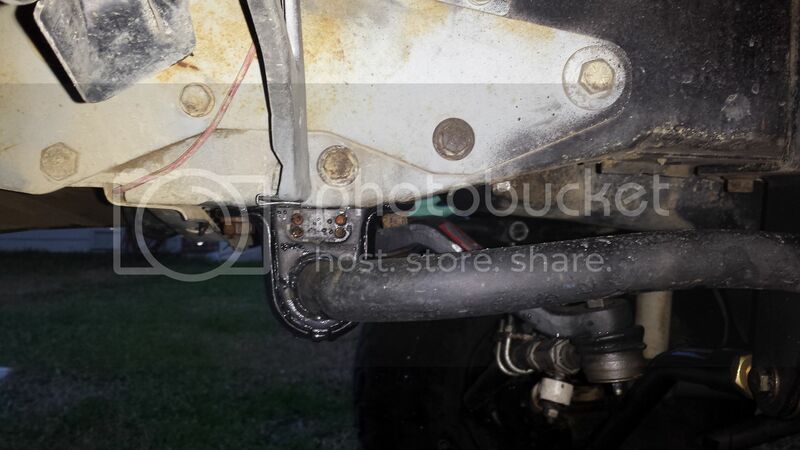 In the mean time I have mounted it the way you showed..
Will this work on a 3.5" lift and 33's? Will my JK's (brand) quick disconnects work with it? If so, I'm going to go get the sway bar this week and slap it in. Last edited by Se7en62; 05-24-2017 at 02:17 PM. I'm off to the wrecking yard on Saturday to snag a bar. Looks like a great mod! 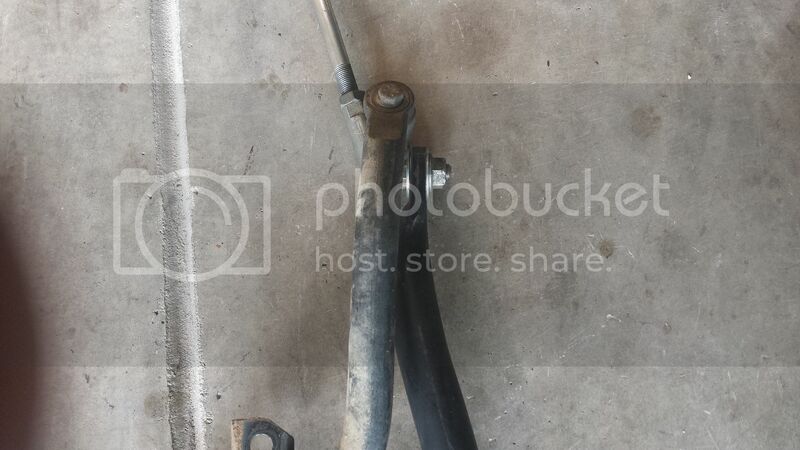 Just be aware that the larger diameter swaybar will add additional twisting stresses to that crack prone area of frame-rails. Unless you're pretending to be Ayrton Senna, it shouldn't be an issue. 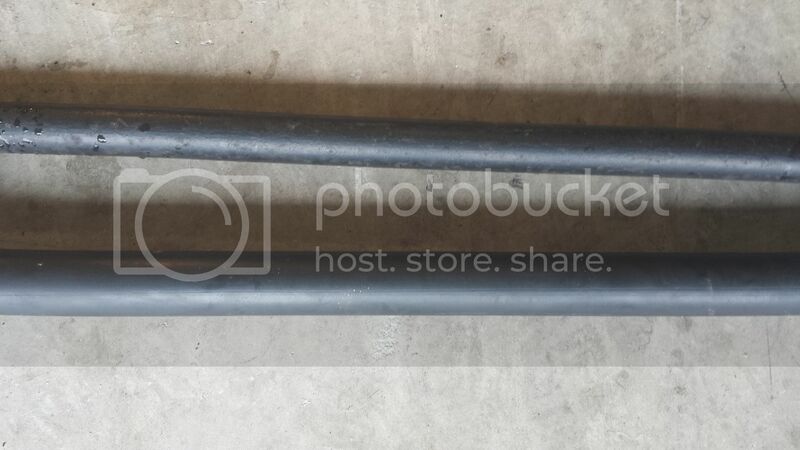 I had the same question as someone else above - the XJ bar has horizontal ends; the WJ bar has vertical ends. 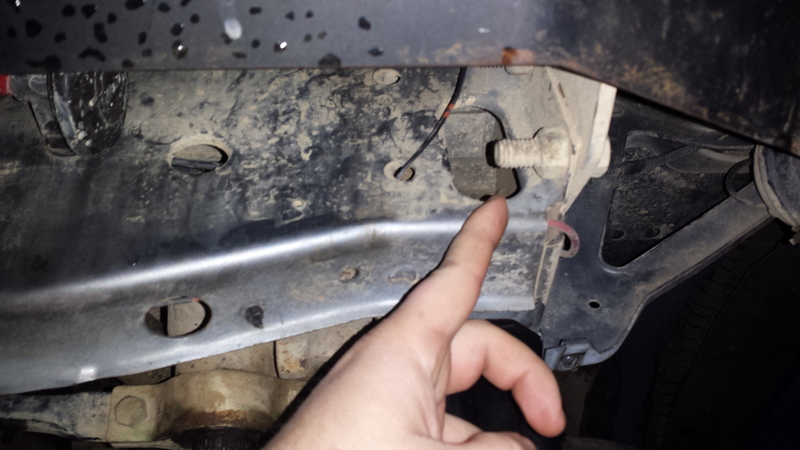 XJ sway bar links won't connect to the WJ sway bar. Did you buy WJ quick disconnects to make the bar fit? ^ Tell that to the numerous owners of XJs that have cracked frame-rails. Those cracks are not from daily driving. 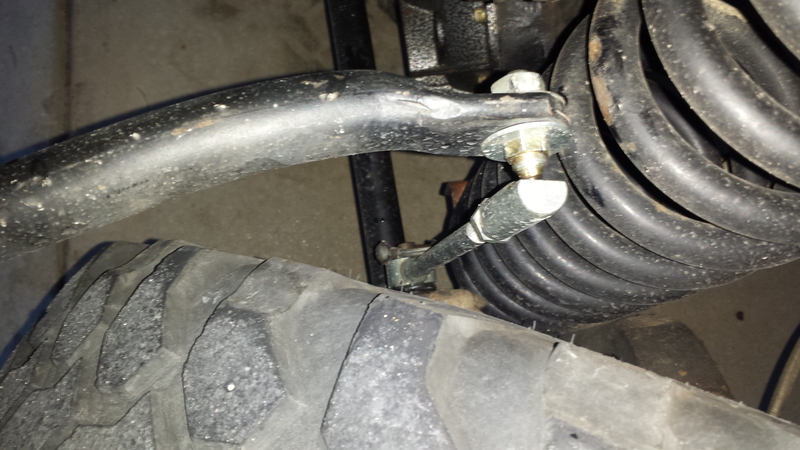 Driving to work or to the grocery store with a sway bar mounted will not crack your frame rails. Just the same as putting racing swaybars on any other unibody, along with race tires, then pitching it around corners as hard as you possibly can with over 1G lateral grip won't crack those frame rails (I do both). At any rate, I've got stiffeners down the whole length of my XJ, so that's not a concern for me in either case. The photo is: XJ, ZJ, WJ front sway bars. Last edited by [email protected]; 06-07-2017 at 01:43 AM. I haven't got around to doing this mod just yet, BUT mine is on a 3.5" lift. I'd like to know this as well - Will it work with any length of lift? I dont see why it would not work with any bit of lift. 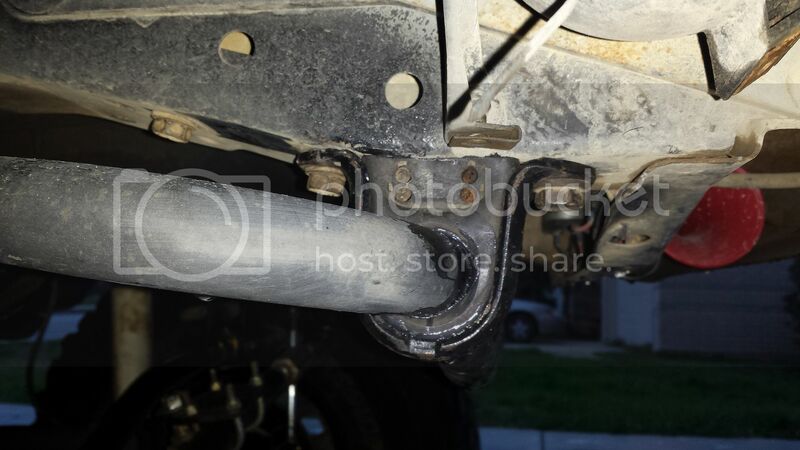 It is about the length of the swaybar end links, not the size of the swaybar itself. The install of this bar places the ends in the same location as stock, allowing them to install strait up so there should not be an issue. If someone finds an issue, then just post it up. 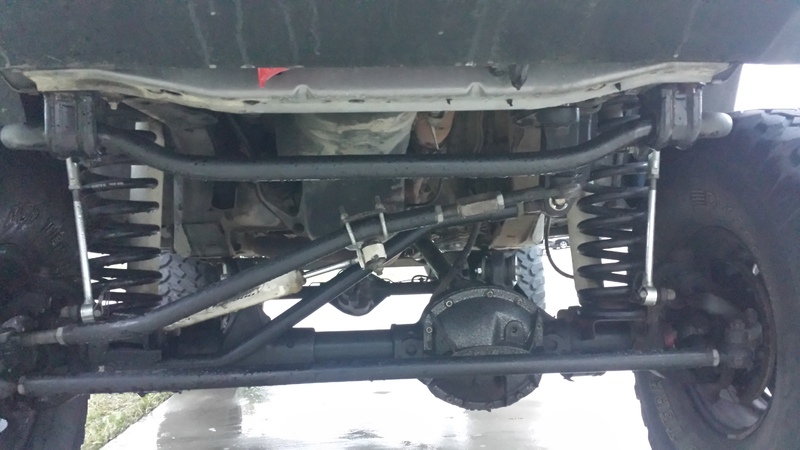 I am still having a wonderful time driving my Jeep with it installed. 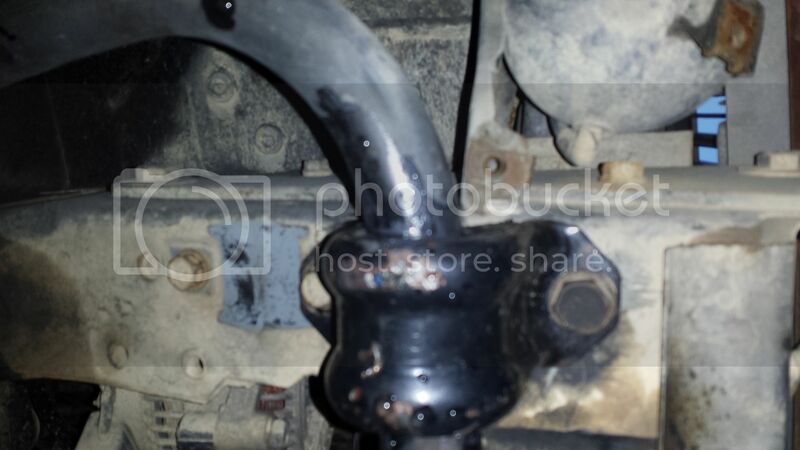 I picked up my WJ Sway Bar from the Wrench-A-Part in South Austin for $23. I'll install it next weekend and report back.